One more feature of the PL-880. It already has the best quality a portable radio have for me, who like to listen to programs: great audio quality. This sleep timer reminded me of my R75’s. Instead of fading out, it sounds a beep very much similar to that BBC does close to the top of the hour. The first time I heard it I thought somehow I was listening to The Beeb. Than, I looked at the display and the station was still VOA and it wasn’t the top of the hour either. I’m definetely going to by a PL-880 and sell my PL-660. I use the sleep timers all the time on all my radios that have them. This way, should I get busy, with something else and step away, they’ll turn off and save the batteries. It’s easy enough to hit the power button again to turn on the radio even if you never moved away from it. It really is superb! None of that annoying fiddling about at bedtime you get with other radios or devices. Once you have set up the sleep function (as you describe here) you just turn the radio on,get into bed and the radio will fade out gently at whatever time you have set it to. You don’t have to go through those annoying steps again.The alarm function also has the same gentle fade out,if you set it to wake you up with the radio. By the way,thank you for this excellent site. 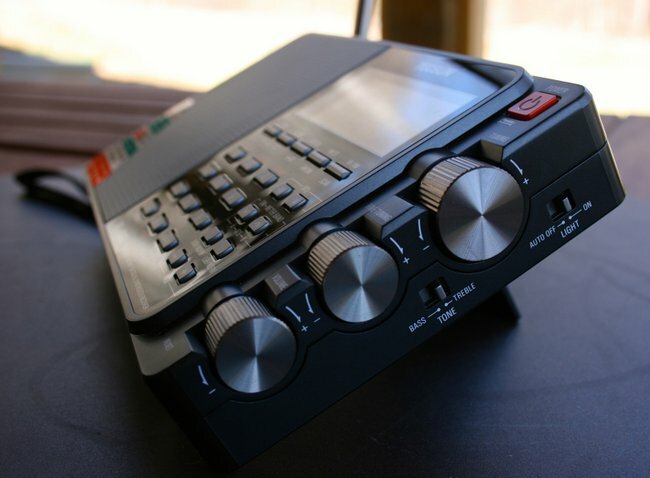 If you are interested in DX radio this a must read! I was so close to buy this radio, but your reviews on the radio here on the swling.com site changed my mind.